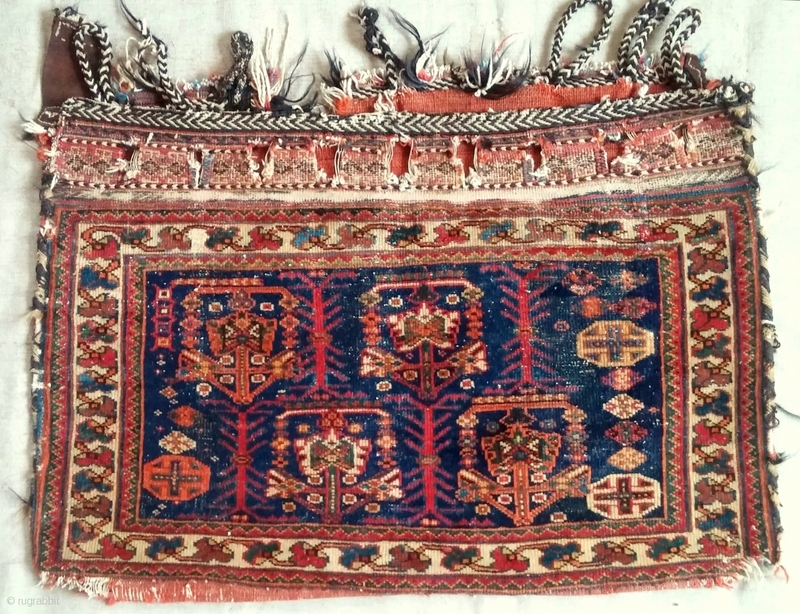 Complete Afshar bag with original red back intact. c. 1870. Fine example.